When being used in agricultural machines, the seals of rolling bearings have to withstand extremely arduous operating conditions. 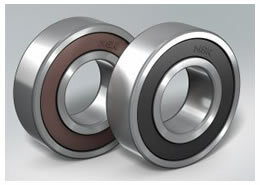 This is why NSK has developed new seals for deep groove ball bearings that deliver a highly effective balance between the conflicting goals of sealing capability and low friction. The performance of the seals has been ably demonstrated in a series of demanding test simulations. The Neuweg factory in Munderkingen, Germany is part of the NSK manufacturing group. ´Agri Disc Hubs´ are among its specialities in worldwide demand. These ready-to-install bearing units are typically fitted to soil tillage machines such as compact disc harrows. Disc harrows loosen the soil using disc-shaped, separately mounted and spring-loaded tools. The tools need to keep rotating and run smoothly, regardless of soil condition and working depth. Operating speeds are up to 18km/h over uneven ground, and the machine must be able to withstand impacts from stones hidden in the soil. As the tools are positioned at an angle to the direction of movement, the rolling bearings are subjected to high axial stresses, while further potential hazards include abrasive dust, moisture, dirt and corrosive fertiliser. All of these place high demands on the bearing and its seal. Once duties using the disc harrow are complete, the machine is usually subjected to a high-pressure jet wash before being left idle for several months until the next season begins. This presents another threat to the bearing whereby the seal must be able to resist the penetration of water. With all these factors in mind, NSK´s design team at its European Technology Center (ETC) in Ratingen, Germany, set about creating a suitable high-efficiency sealing system optimised for agricultural use. Its approach was to orient their development work to a standard used by a manufacturer of agricultural machinery to qualify rolling bearings acquired from external suppliers. This manufacturer operates an accelerated test fixture that rotates the rolling bearings at a speed of 5000rpm and a load of 900N. The test lasts 500 hours and simulates seal usage over a period of one season. 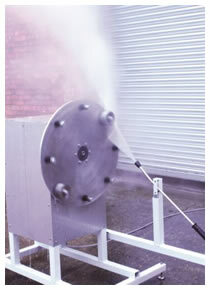 Subsequently, high-pressure cleaning is simulated on a second test bench, where the bearing is sprayed from a distance of 200mm by water jet at a pressure of 11bar and a temperature of 90°C. 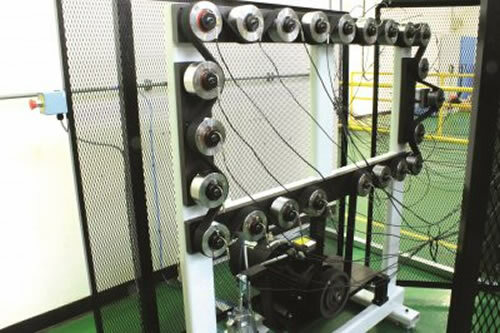 A total of 220 test cycles are performed before a second 500-hour test is repeated on the first test fixture. The test rigs, which have been replicated at NSK´s ETC at Newark in the UK, accurately simulate extreme agricultural conditions over a two-year period of use. Once testing is complete, the bearings are weighed to within 1µg precision to detect any grease loss. They are then inspected visually, and seal efficiency and wear are recorded. In parallel with designing the test rigs, NSK engineers completed the development of the new seal. The application clearly requires high sealing capability under extreme conditions, and the best way to achieve this is with a seal that presses firmly against the surrounding structure. However, the unwanted effects of such a configuration include higher friction and elevated heat generation, which lead to reduced energy efficiency and service life. To overcome this challenge, the newly designated DG/DDG triple-lipped seal differs from existing seals in that it has a double lip made of acrylonitrile butadiene rubber with steel reinforcement. Furthermore, on the inner side of the deeper, U-shaped groove, it has an additional seal that also forms a grease barrier. The deep groove ball bearings featuring DG/DDG seals were subjected to intensive comparative testing. At the end of the tests, they were found to have significantly better sealing capability in comparison with both NSK deep groove ball bearings featuring existing DU seals, as well competitor products. The bearings completely satisfy the stringent requirements of agricultural users in terms of seal tightness/performance and low-friction torque. As a result, demand from agricultural machinery manufacturers is currently high and NSK has already commenced full production of deep groove ball bearings featuring the new DG and DDG seals (single-sided/double-sided sealing).